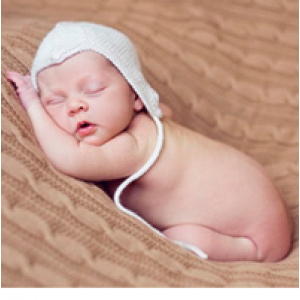 The most common gift for the birth of a baby is a towel with a corner or a large bath towel for bathing the baby. Crumbs often bathe, so a set of several towels will be very helpful. To make a gift original - on the corner of the towel monogram you can embroider the name of the child. Another useful gift - a photo album or a collage photo frame. Parents in the first years of life of their baby try to capture all the most important moments of his growing up. You can pick up such a gift in the store or arrange it yourself. Do not be superfluous and a set of bed linen for the baby. It is important to select natural materials and a quality manufacturer. For a restful sleep of crumbs, you can also find a baby blanket, blanket or envelope-bag. If you are a close relative of a newborn and not constrained by finances, then it is worthwhile to choose a more useful gift. For example, today radio nannies are very popular. If the children's room is separate from the parent's bedroom, and there is no help for the mother, such a device will become an irreplaceable attribute. Another miracle of modern technology is a cradle-swing. She regulates the motion sickness mode and is able to provide tired parents with at least a little rest, while the child quietly basking in the light vibrations of her sleeping crib. For parents-motorists the necessary thing will be a car seat for kids. Choose the chair system "0" or "0+", ie with a built-in cradle. Safety baby is above all, so take care of it is well in advance. If the parents have not had time to buy a baby bath - you can safely go to the store in search of an original and convenient thing. Today there is the opportunity to choose a bath that repeats the anatomical shape of the baby. Not as necessary, as useful are humidifiers and ionizers of air, a beautiful night lamp, and also a certificate for purchases in a children's store, where happy parents can independently choose whatever they need. Whatever it was - at the birth of the baby to go to the hospital with empty hands is considered bad form. Remember that in addition to the little man, you need to congratulate the parents themselves, and most importantly - the mother of the crumbs. Here, an elegant bouquet of fresh flowers will be indispensable, which should not be distinguished by pronounced smells, so as not to cause an allergic reaction in the baby. A bouquet of flowers at the birth of a baby will be an excellent gift from friends, relatives and, of course, a happy and grateful husband. For your convenience, you can order delivery of a bouquet directly under the doors of the maternity home, in order to preserve the freshness and beauty of flowers. A chic bouquet of 101 roses can express your gratitude for a son or daughter, instead of a thousand words to tell about your feelings and love. A bouquet of flowers at the birth of a child is always appropriate and pleasant. Give beautiful gifts and make people around you happy!